I went to school for entrepreneurial marketing and spent most of my education writing business and marketing plans, but my education taught me very little about the day-to-day details of running a business. Perhaps I should have stayed in school longer to get an MBA, but I felt there was no better way to learn than through real world practice. 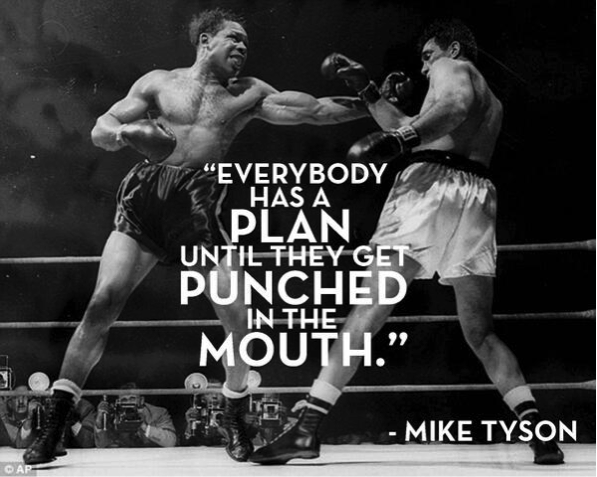 Don’t get me wrong, strategic planning is important, but no amount of preparation can prepare you for the sucker punches of entrepreneurship. To stay on your feet, you’re going to need a diverse community of manufacturing leaders who have gone before you. Look no further than the strong community of leaders in the Metalworking Nation for great mentors. This industry is filled with people who are willing to spend time and energy to share their insights with you. Just don’t trust anyone that claims to have a secret formula for success. Boomers, Gen’s X, Y, and Z all desperately need to bridge the skills gap between generations, to strengthen the backbone of our economy. Millennial manufacturers need to seek mentors who can guide them through the important aspects of business that never change, and in turn share digital expertise with older generations. The best leaders, young and old, seek out mentoring relationships that add value in both directions. When you need to start your business, when it’s all you can think about, when every week that goes by you feel anxious knowing that there’s something that needs to be done and you’re the one who can make it happen -- then you’re the right person to start a business. Embrace the angst and go for it, or you’ll find yourself working in one job and dreaming about another. No one will believe in your vision more than you, but it’s your job as an entrepreneur to cast that vision for others. On the MakingChips podcast we often cover a systematic approach to entrepreneurship from the book Traction (Check out episode 169). It’s called the “Entrepreneurial Operating System” (EOS) and it has a brilliant way of helping entrepreneurs clarify their vision and cast that vision for their team. So when you ask, “Do you see what I’m saying?” Your team can answer with a yes. If you can’t communicate your vision, you won’t ever be able to assemble the type of people who can help you make it happen. Being part of a startup requires a certain type of mindset from your entire team. It’s not for everyone and that’s OK. It’s not a clock-in, clock-out job. Startups require sacrifices you wouldn’t have to make in a more established company. With an inspirational vision, you’ll be able to find a talented group of people who can “see what you’re saying” AND be willing to make sacrifices with you to make the dream a reality. You must also bolster your vision with your mission. Mission is why and how you go about achieving your vision. Even with a compelling vision for your new business, if you can’t communicate your mission (i.e. the way you’re going to make the dream a reality) your vision will be stuck in your head, and your head will be stuck in the clouds. Let’s consider MakingChips for an example of Mission and Vision in practice. Since the inception, the mission is to “Equip and Inspire the Manufacturing Leader”. Our vision is to elevate leadership with entertaining media, tailor-made services, and community-building events. The mission was set long before I became a partner, and although the podcast has evolved into MakingChips 2.0, our mission and vision remain unchanged. Mission and vision may seem like secondary priorities for your startup. To the number-crunching, data-driven, calculated business leader, they may be nothing more than fluffy marketing elements, but they are so much more than slogans and taglines if you design them to set your course and drive your business toward the dream. Remember, there’s never been more opportunity for the entrepreneur in manufacturing. Keep dreaming, keep doing, be realistic, and always remember -- If you’re not making chips, you’re not making money! MakingChips is expanding and looking for passionate craftspeople willing to join the mission to equip and inspire the Metalworking Nation. If you are a content creator, digital marketer, or graphic designer in the Chicagoland area and have a passion for manufacturing and an entrepreneurial spirit, we’d love to hear from you. Visit: makingchips.com/careers to apply.